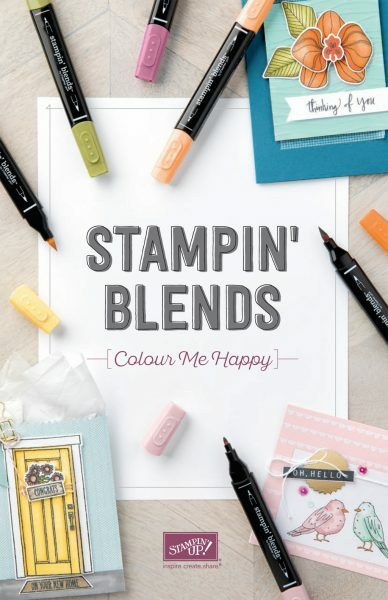 As of today, Stampin’ Blends are available for purchase and I hope everyone is as excited about them as I am! I especially love how they can be used for a quick and simple Make & Take. 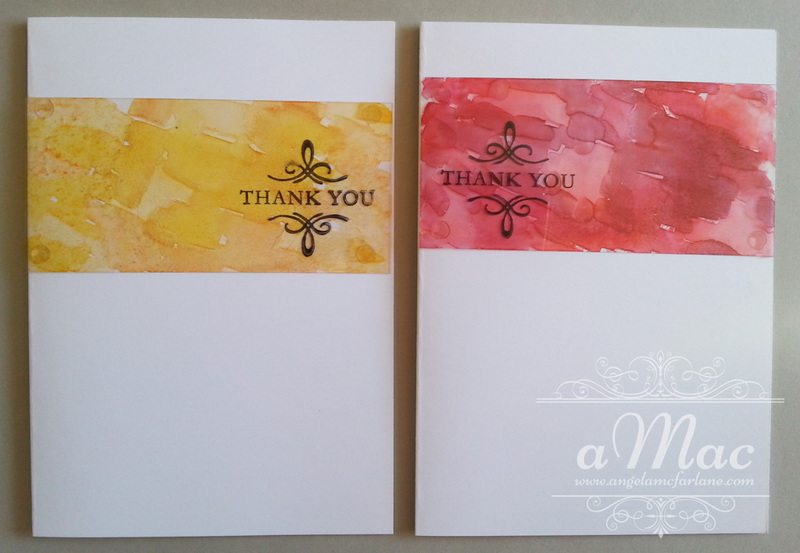 Check out the video below to get some inspiration on how you can use the wonderful Stampin’ Blends. I needed to make some Thank You cards, so I made these four using the retired Blendabilities pens on acetate for a really lovely effect. If you’d like to find out more about the technique, please contact me. Unfortunately Stampin’ Up! has decided to pull their line of Blendabilities. “There have been a number of quality issues with the Blendabilities product line. Due to the nature of the defect, we have concluded that difficulties, dissatisfaction, and product returns will only become more widespread. 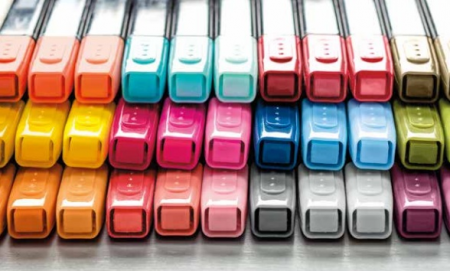 The manufacturer is unable to correct the problem in a manner that we are certain would meet our high quality standards and provide us with a stable, long-term solution. Most Blendabilities markers work as intended and I have bought a range of colours all of which are ok and working fine. If you have a Blendabilities set that is not working, please contact me. The Memento Ink Pad and refill that were brought in to work with the Blendabilities are still available.